Mrs Diana Ee-Tan is Chairperson of Mount Faber Leisure Group Pte Ltd and an independent director of Far East Orchard Ltd, a listed company. She is also Vice-Chairman of Shatec Institutes Pte Ltd, the educational arm of the Singapore Hotel Association where she was instrumental in the development of its Industry Mentorship Programme aimed at nurturing and developing students and is presently a member of Shatec’s Academic and Exams Council and Scholarship Panel. 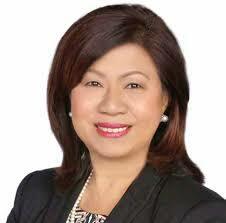 Mrs Ee-Tan is appointed by Enterprise Singapore as co-Chairman of the Singapore Standards Committee. Formerly President of Raffles Hotels & Resorts, an international luxury hotel group, Mrs Ee-Tan has also has served on the Singapore Tourism Board, Board of Governors of Republic Polytechnic, Singapore and as a Member of the Singapore Charity Council.